What does it take to “love your neighbor” in a global community? 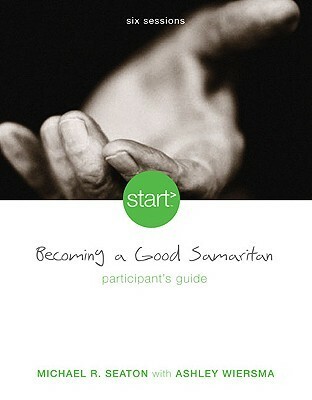 Start: Becoming a Good Samaritan is an unprecedented initiative to help Christians live out Christ’s love in world-changing ways right where they live. This groundbreaking training program helps small groups, families, entire churches, and organizations of every size explore the most pressing issues of our time—then start actually doing something about them. Join teacher, speaker, and award-winning author John Ortberg as he hosts six emotionally packed sessions featuring a remarkable array of global Christian leaders, including Eugene Peterson, Philip Yancey, Matthew Sleeth, Jim Cymbala, Chuck Colson, Archbishop Desmond Tutu, Brenda Salter McNeil, Kay Warren, Joni Eareckson Tada, Rob Bell, Shane Claiborne, and many others. The study takes Christians out of the pews and into the streets where, as the hands and feet of Christ, they will live out the gospel, positively impacting those suffering from poverty, social injustice, pandemic diseases, and more. Visit www.juststart.org to learn about the nationwide church campaign experience and the growing list of national and international supporters and to access supplemental, online resources for the DVD curriculum. 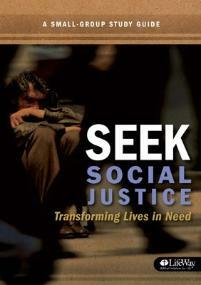 Seek Social Justice: Transforming Lives in Need is a 6 session Bible study for adults that explores the serious and complex problems of poverty, addiction, and homelessness. Passion alone won’t solve them. We need effective strategies for meeting human needs. Combining real-world examples of effective action with the wisdom of Christian leaders like Chuck Colson, Al Mohler, and Marvin Olasky, this study will challenge your ideas about social justice and how to transform lives in need. Get a better understanding of the roots of suffering and social breakdown. Explore the roles of the individual, family, church, business, and government in promoting social justice. Challenge assumptions about what role you play in truly transforming lives in need. Video lessons contain commentary from leaders across the country who think deeply about justice and engage human need in their communities.